Duct Cleaning | Comfort First Heating and Cooling, Inc.
Hopefully, you’ve already had your air conditioner professionally checked out by a technician before we could get too far into summer. Even if you have, though, you’re not exactly done preparing your home for summer. There is still at least one thing that you could do to improve your home’s ability to deal with the summer heat, and that’s having your ducts cleaned. 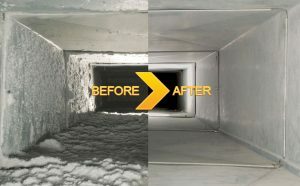 Let’s take a look at why you should have your ducts cleaned this summer.